Twitch is nothing without its community. Here you’ll learn how to define and build one to call your own. Get insider tips on how to better understand your audience, network with other streamers, and engage with your fans to keep them coming back. Who doesn't love a good conversation? Get tips on how to keep everyone in your chat active and acknowledged. Read how to stay connected to your community when you decide to switch things up or take a break. Have you co-streamed yet? The safety of your community is a responsibility we take seriously. 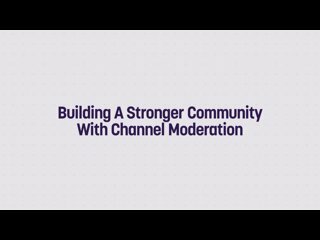 Let's work together to ensure everyone on Twitch has a positive experience. 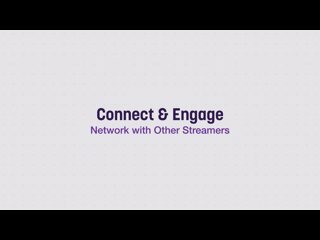 Networking with other Creators on Twitch is a great way to grow your community. We've even built tools to help you get started.